Located at the gateway to the East of the city, Eastern Park Shophouse is within the 32-hectare Ha Noi Garden City urban area. Available through Duong Duc Hien, Director of Residential Sales Northern and Central Vietnam at Savills Hanoi. Artist impression. Located at the gateway to the East of the city, Eastern Park Shophouse is within the 32-hectare Ha Noi Garden City urban area. Available through Duong Duc Hien, Director of Residential Sales, Savills Vietnam. Located at the gateway to the East of the city, Eastern Park Shophouse is within the 32-hectare Ha Noi Garden City urban area. 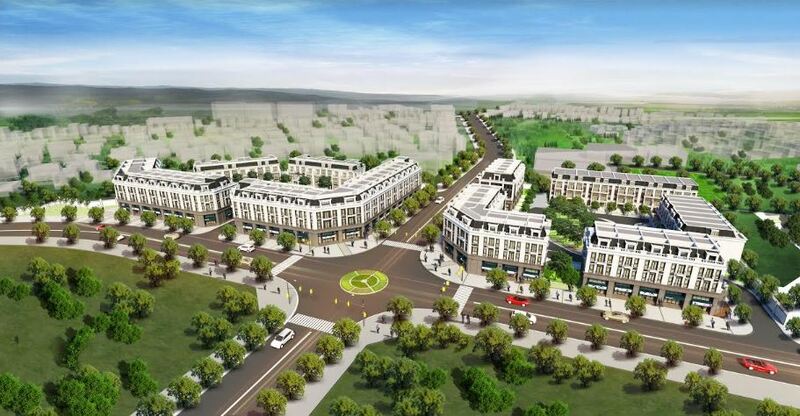 Savills Vietnam has been appointed as the exclusive sales agent for Eastern Park marking the transformation of the mixed-use township in Hanoi's Long Bien district. The project offers 72 shophouses divided into two blocks (Park 1 and Park 2). Unit frontage ranges from 5.2 metres to 29 metres in width, with each floor also showcasing its own balcony. Eastern Park is under development by Berjaya-Handico12 Co., Ltd, the same experienced investor group that has also worked on such properties as the 5-star Intercontinental Westlake & Sheraton Hotel (Hanoi), Berjaya Times Square (Kuala Lumpur). The "golden" location of this new development, means that it is within 15 minutes of the CBD, and close by to Aeon Mall, Long Bien Golf Course. The Park can also connect to Ring Road 3, Thanh Tri Bridge, Choung Duong Bridge, Vinh Tuy Bridge and Long Bein Bridge with ease. For more information including additional images, unit specifications, amenities and facilities, as well as a location map, visit Savills Vietnam. To enquire about the property, phone or email Duong Duc Hien, Director of Residential Sales Northern and Central Vietnam at Savills Hanoi at Savills Hanoi, via the contact details listed below.